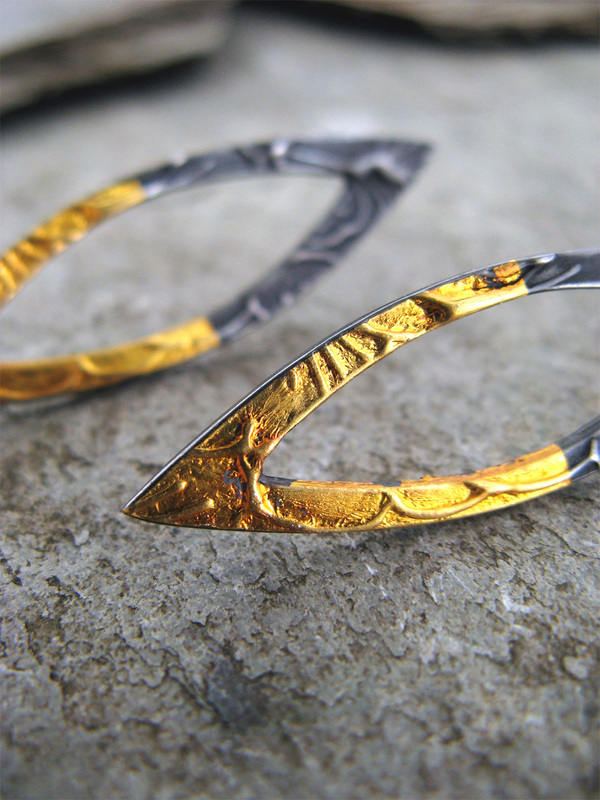 Leaf-shaped post earrings imprinted with lush blossoms and cut out to emphasize the space within. Brilliant 23k gold is fused to half of each silver earring and the rest patinated dark charcoal for striking, elegant contrast. Love that marriage of gold + silver/light + dark/ancient + modern . .
40mm x 12mm, 1 5/8 inch x 1/2 inch.